Since 1974 the Volkswagen Golf has set the standard of what makes a good hot hatchback. Combining German engineering and reliability with a hugely versatile chassis, the Golf is capable of supporting a massive range of engines and specs – from eco diesels to 300bhp and AWD. With the launch of the MK7 platform, VW continued to use their tried-and-true platform recipe to bring a large number of models to market using the same underpinnings. 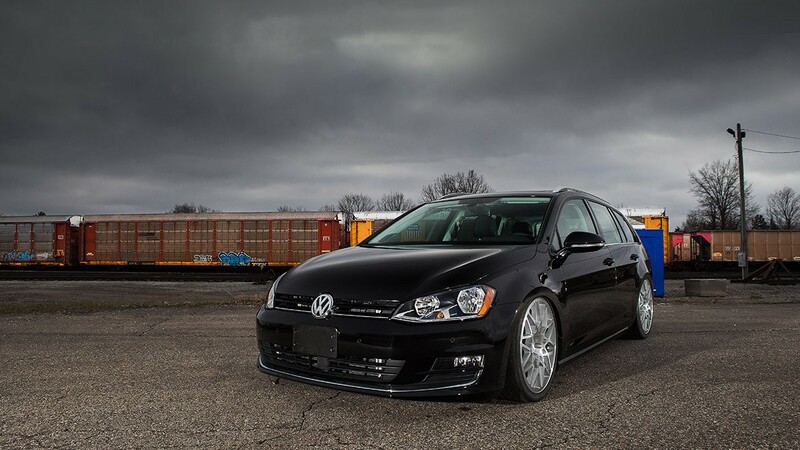 Now, Air Lift Performance can help you attain the look and driving character you crave for your MK7-based ride, using 50mm diameter front struts and a twist beam rear suspension. 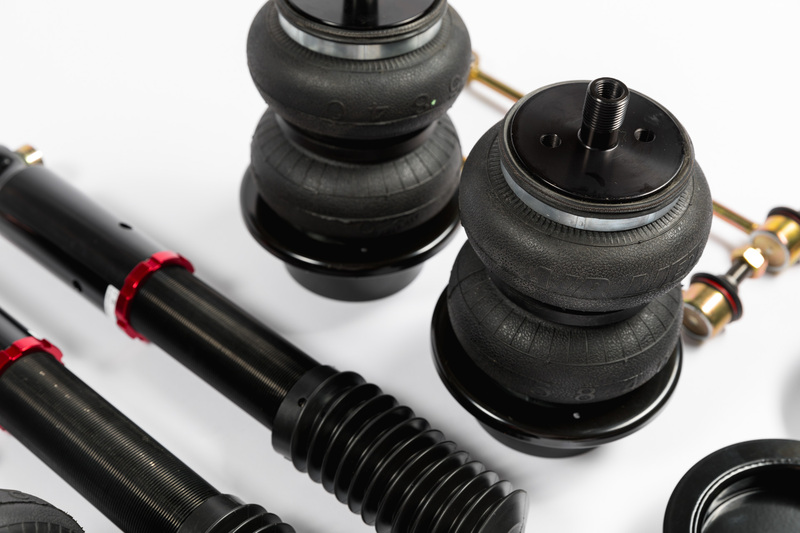 The important part of this process is for you is for you to identify your suspension type and order the appropriate kit. For the rear, check to make sure that you have a twist beam suspension. 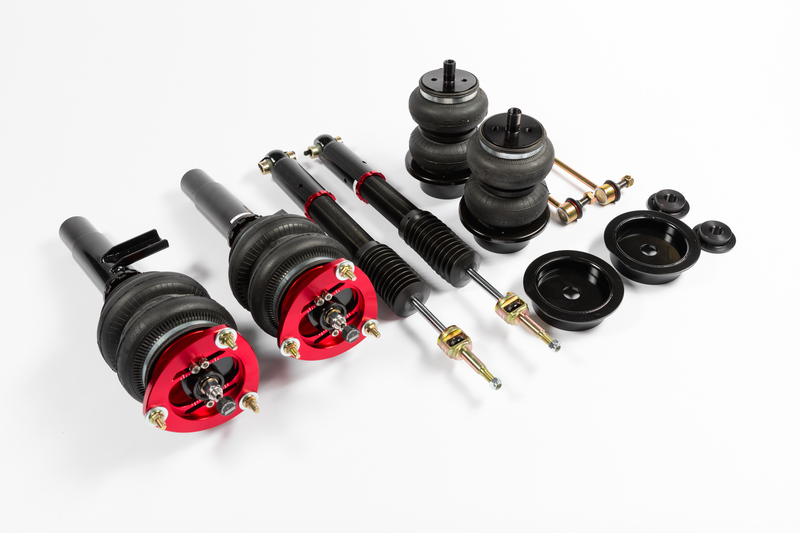 If you have a multi-link suspension, you need to order part number 78664. 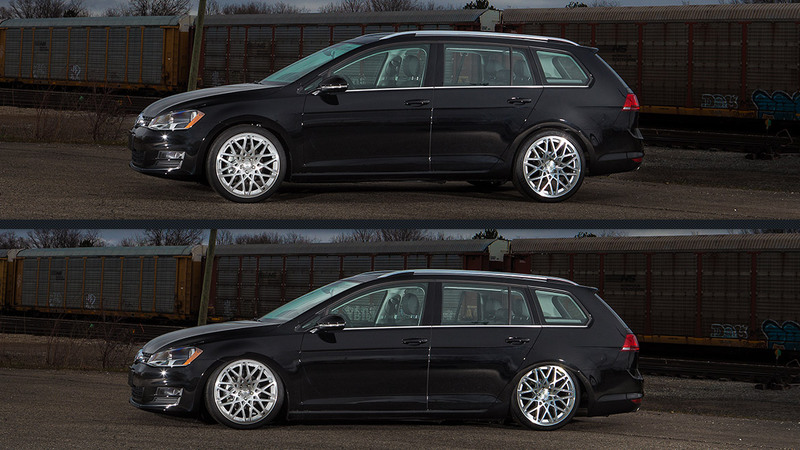 If you have found this to be the correct product for your ride, you will be happy to know that you can expect a similar drop height and road manners that you’ve come to expect from Air Lift Performance on other VW platforms. Speaking of drop height, our kits will slam your VW 4.6” (116mm) in front and 5.4” (136mm) out back. The best part? Those numbers are achieved without making any modifications to the chassis! Air Lift Performance achieved these results by using pairing a smooth-riding, double-bellows air spring to a threaded body monotube strut in the front, and double bellows bags with monotube shocks for the rear, both providing 30 levels of to suit all of your driving needs – from pillow soft all the way up to a stiff performance setup. 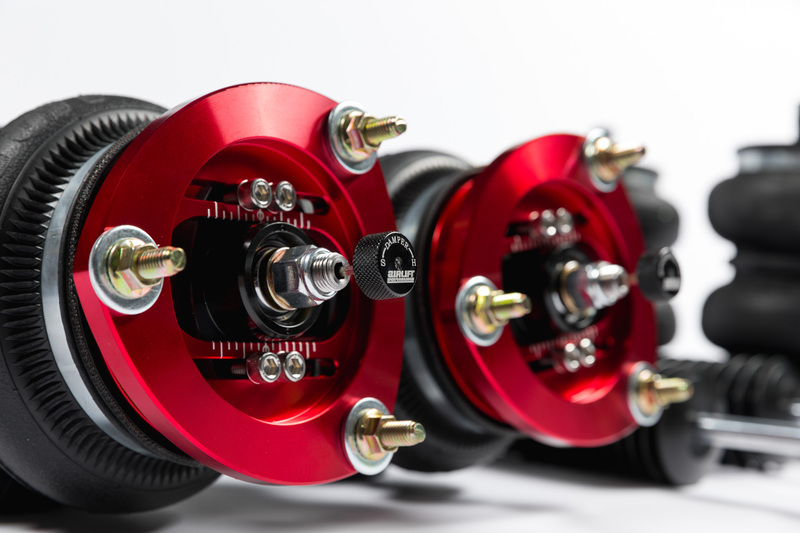 Also included are bolt-in camber plates, made of T6061 red anodized aluminum, provide alignment-tuning capability and help with wheel fitment. 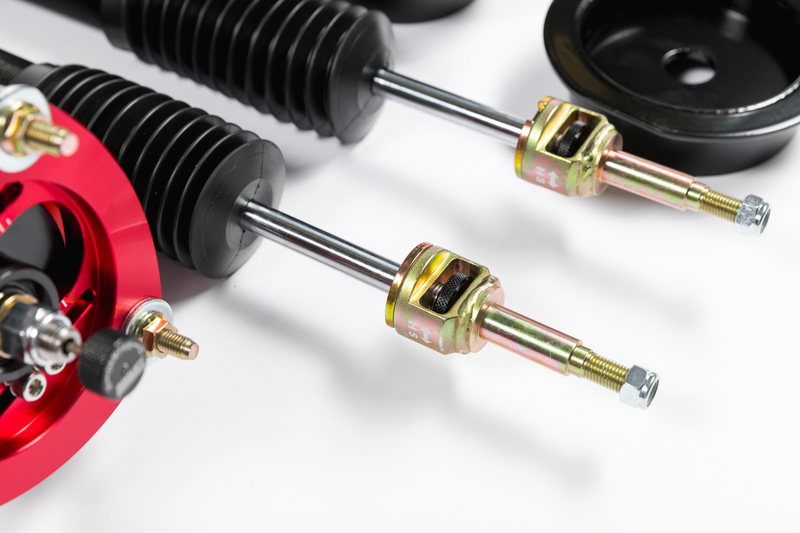 Each strut also features a threaded-body, which allows you to perfectly set up the vehicle by changing the position of the lower mount on the strut. The Mk7 Twist Beam (2015-2017) threaded-body kit is available with a range of Air Lift Performance air-management options, including the innovative 3H height and pressure sensing system. Air Lift Performance used a state-of-the-art 32-bit processor, and advanced height + pressure algorithms, then paired them with a full colour controller with built-in Bluetooth connectivity in order to make 3H the most advanced air management system on the market.